Hello. I didn’t mean to disappear for days on end. Seems like life is just way too busy at the moment. In major news, I actually have my sewing machine set up and managed to sew on the quilt for 15 minutes before being interrupted by my treasure. The mojo is returning. If I have time after finishing this post and she’s still asleep I may just get another row sewn. 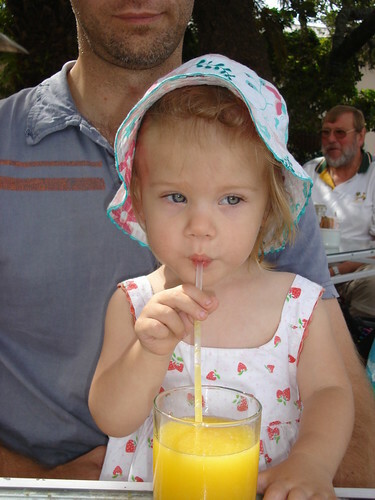 Speaking of the Gorgeous Girl, here is a totally gratuitous picture. I’ve managed a few finishes over the last little while. 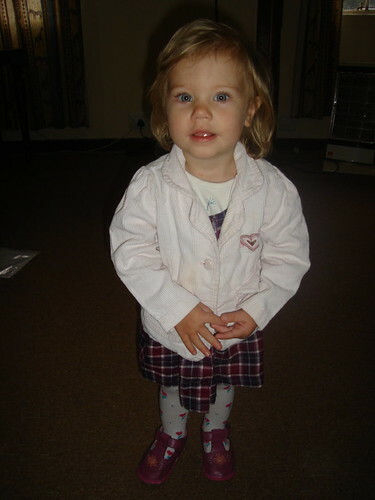 Firstly, this jacket for Gorgeous Girl. 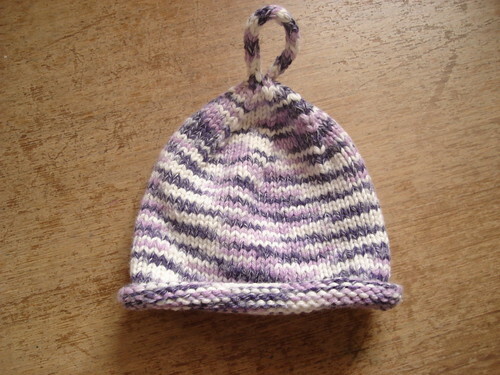 This little hat is the first in a series of 4 that I’m working on for my friend Claudelle. She is a portrait photographer and wants some cute hats to use in her photo shoots. I couldn’t work out how to put a price on my work, so the hats are being knitted in exchange for a photo session with Gorgeous Girl and some prints. (Funny, I have no problem quoting a price for my time for tutoring, but when it came to my craft work I was really stumped). There has also been spinning, but less. I’m aiming for between 10 and 20 minutes a day. It’s surprising what you can do in that amount of time. 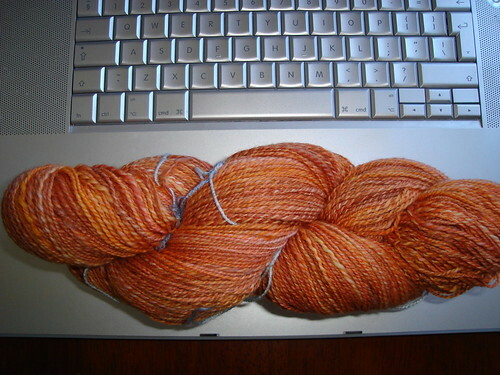 I know it looks just like the last skein that I spun up. 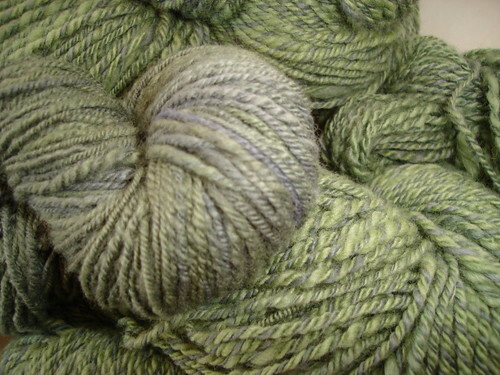 I’ve still got more to spin and so am confident of having enough yarn for the shawl of my choice. I need to make an appointment with the dentist. It feels like one of my wisdom teeth is coming through, and it’s been 6 months, so I need a check-up anyway. That is always fun. To be fair, the dentist we’ve found here is one of the best I’ve EVER seen. He redid a filling for me last year that I had done in Australia. The Australian dentist caused me so much pain I was crying in the chair, dentist here didn’t hurt at all. So if a wisdom tooth has to come out I’m glad it’s going to be him doing it. Funny story: Gorgeous Girl doesn’t have a nightlight. We just turn off the light and she goes to sleep. The last few nights it’s been cold so last night we left the heater on in her room. It’s an oil heater that goes off and on according to the temperature of the room. About 11.30 Gorgeous Girl woke up screaming hysterically. I was so sound asleep I actually thought it was morning and time to go to work. Turns out the heater clicks as it comes on and wakes her up, and the light from it scares her. So we’re just going to have to heat the room before bed and then hope that her winter pyjamas are warm enougt. Well Gorgeous Girl is still asleep (she’s actually not very well) so I’m going to hit the sewing machine before going back to work. There are times when Gorgeous Girl is truly a dainty little girl. 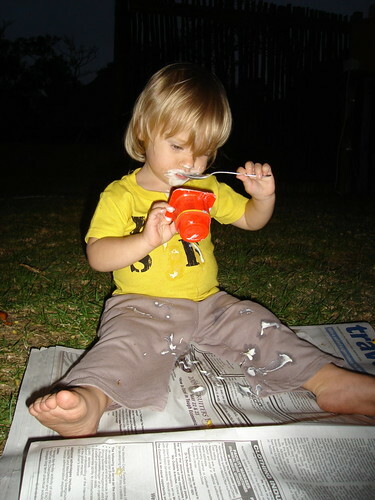 While we were camping we went into a nearby town (Swellendam) for lunch. Gorgeous Girl did enjoy looking at all the cars driving past though. She’s a little car obsessed at the moment. So, do you want to see what Gorgeous Girl looked like just hours later? Hmm perhaps not such a girly girl, but certainly an independent one. My sewing mojo is slowly creeping back. I visited my lovely friend F last week. Gorgeous Man kindly watched the Gorgeous Girl so that we could sew uninterupted. We made three blocks for the Free Radicals Block exchange. 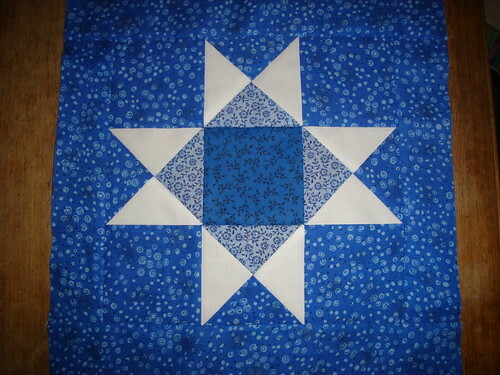 The blue one from last month for J (I only managed one block last month, so ‘owed’ one). Then we made the two for this month. 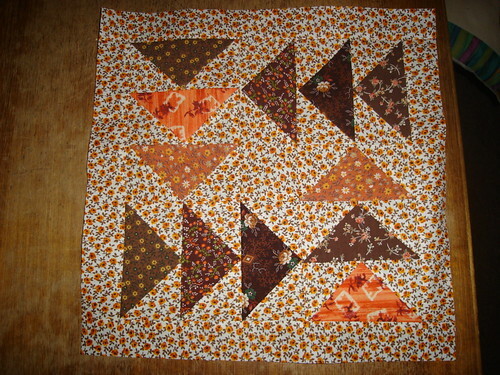 I can’t decide whether this flying geese block is groovily retro (I used vintage fabrics) or completely hideous. But it’s done and will be going to the recipient on Monday. 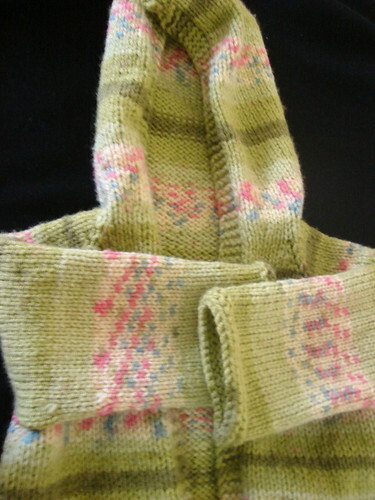 I’m trying very hard this year to knit and sew my fabric and yarn stashes. I have run out of storage space in my tubs and figure that’s a good sign not to buy any more stuff until I have some room. This makes the monthly blocks interesting as I have to find fabric in the stash to fit in with the colours each lady has chosen. F is a master quilter and she also helped me find the problem with my quilting work in progress and a solution. I don’t have to work this Sunday (I work every second Sunday) so I may just get into that sewing room. I can feel the mojo calling. The stars have aligned! Gorgeous Girl is asleep and I actually have some time to do a blog post. 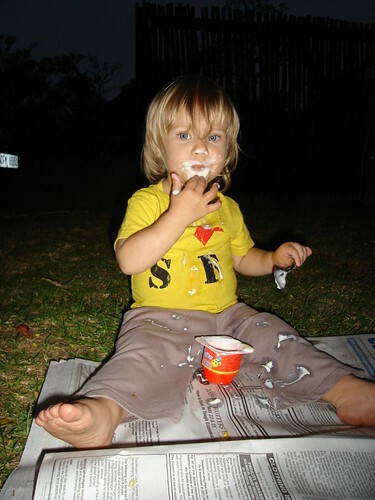 We went camping a few weekends ago at Grootvaderbosch. 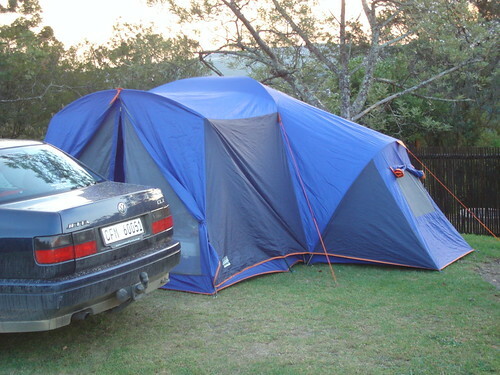 We got to try out our new (to us ) tent. (That’s the sun setting in the background). 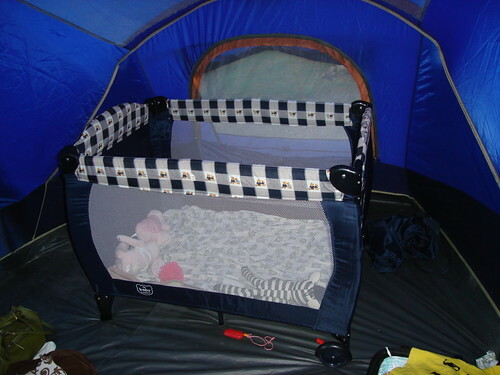 Unlike our previous ‘couple’ tent, this one is big enough to hold Gorgeous Girl’s camping cot. 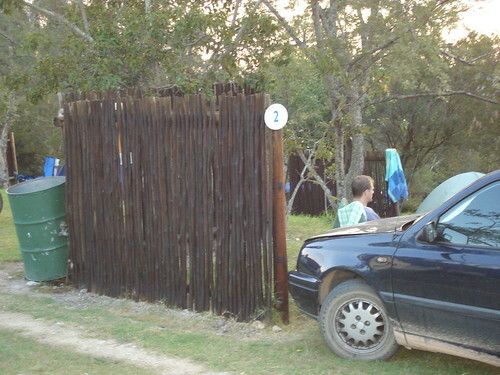 The campsite had privacy fences. Which I hadn’t seen before. 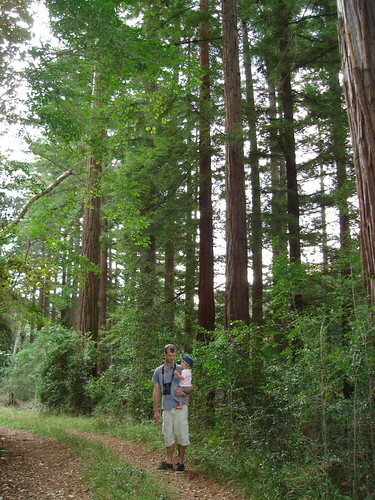 We took a walk (well I took a walk, Gorgeous Man did it several times) down to the red woods. I was very proud of myself that I managed to complete this walk, only stopping once for a sit-down and that was at the bird-hide at the top of the track. I know that at the beginning of the year I would not have had the fitness to even consider the track. Did I mention that I’ve lost 2 kilos so far (about 4.4 pounds) not a huge amount, but it took a long time to put the weight on, and it’s going to take a long time to get it off. 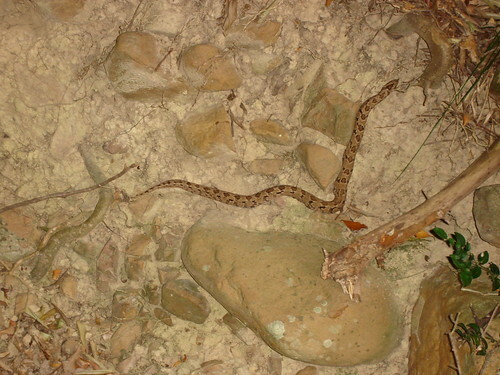 We saw this fellow while we were walking in the forest. We stood back respectfully and took pictures until (s)he got out of the way. 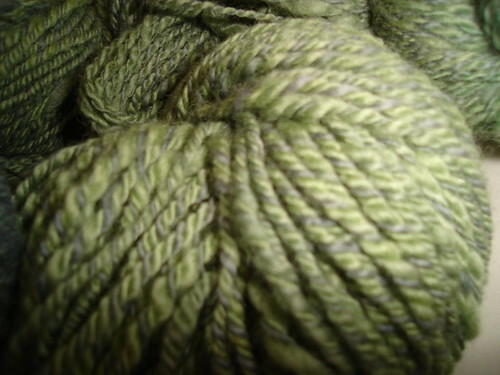 I’ve taken some more yarn off the wheel. I got a bit carried away with the spinning. Consequently, I’m now limiting my time on the wheel so that I don’t give myself a strain injury on my wrist, so this will be the last finished yarn you’ll see for a while. That is straight off the wheel before washing and ‘setting’. I’m very pleased with how this turned out, and I have a stack more to spin. For the past few weeks I have felt pulled in all directions, trying to do too much and achieving nothing. So, when Gorgeous Man suggested a weekend camping I jumped at the chance to get away from it all. We had a relaxing weekend away and I’m back revived and with a little more energy. I also used the car trip to test what things Gorgeous Girl would ask for on a long journey (cars, her two blankets, dolly and kookaburra and her weird ball thing). I think we’ll be OK on the plane as long as we have them. I’ll have camping pictures once I take them off my camera. 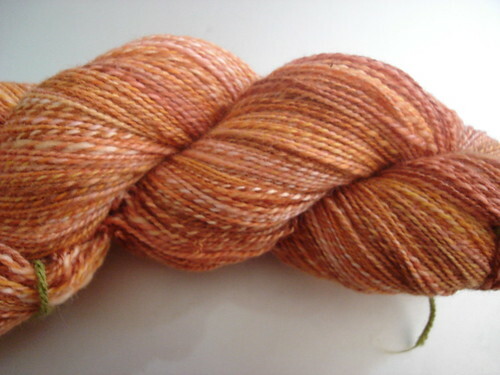 In the meantime, for your viewing pleasure here is the latest yarn off the wheel. 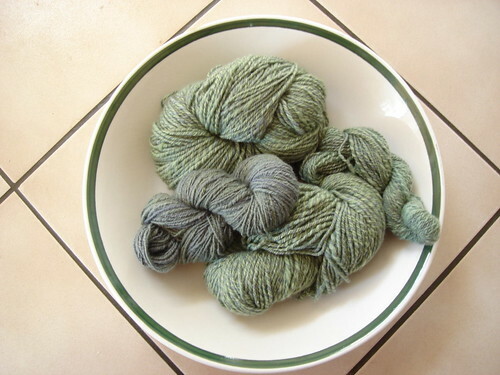 We used this fibre to soak up the excess dye when we were dyeing, so it was a happy surprise that it came up with such beautiful colours. There are two skeins of three-ply (my first proper 3-ply) a mini skein of two ply and then I used the left over from one bobbin to Navajo-ply. I’m pleased with how they have all turned out. I’ve worked out why I have done no quilting for weeks. The sewing room needs tidying so that I can actually sew without the need to set everything up, and I’m blocked because my quilt in progress needs unpicking, and maths since there was an error in the pattern. 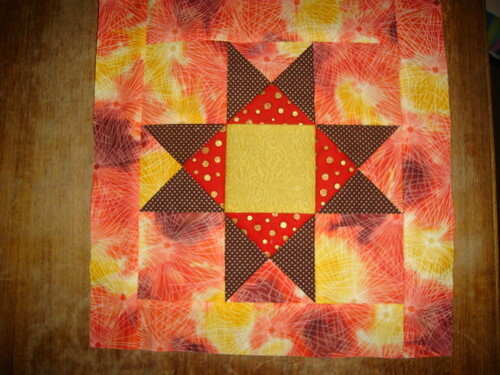 I’ve made plans to visit my friend F on Sunday, we are going to make our blocks for the Free Radicals’ block exchange and work on my quilt. Hopefully that will be enough to get me unblocked and bring back my quilting mojo.